Offering elaborate perks such as catered meals, on-site massages, and yoga classes have become expected benefits at large, high profile corporations. Meanwhile, millions of small and midsize companies continue to seek reasonable small business perks conducive to organizations with only a handful of employees. There is an indirect relationship between the cost-efficiency of voluntary benefits and the size of the employer. It’s typically more expensive for small organizations to offer group-rate benefits such as health insurance. Since 2010, there’s been a 22 percent decline in businesses with fewer than 50 employees offering group health insurance. The purpose of offering voluntary benefits has historically been to recruit and retain talent. Companies that include a “generous benefits package” in their job descriptions can gain an advantage in procuring and landing a larger pool of job applicants. Small businesses not only have to compete against large corporations, they also have to compete against each other. Businesses with fewer than 500 employees account for 99.7 percent of employers in America, yet benefit providers have largely catered their products towards large organizations. Can Small Businesses Afford to Offer the Same Perks as Large Organizations? The simple answer is, “no.” Benefit staples such as low-deductible insurance plans will likely remain too expensive for many small businesses. But there are some benefits small businesses can afford that can still recruit and retain great people. Many niche benefits have emerged in the last 5 years that offer reasonable ways for small businesses to compete against large organizations without incurring huge implementation costs. 1. Flextime – Being an employee at a small business often requires taking on several roles at once. One employee often acts as the marketer, salesperson, and account manager, sometimes all at once. That kind of multitasking can quickly cause burnout. By offering employees a flexible schedule, employees can take advantage of slow periods to recharge their batteries and maintain a healthy work-life balance. Offering flextime sends the message that employer trusts the employee. Employees are often so grateful, they work even harder to avoid jeopardizing this beneficial work arrangement. are at home in their pajamas multi-tasking by doing their laundry while also listening in on a conference call. On the other hand, your employees are available more readily and no longer need to use a personal day if their kid is sick. Telecommuting is becoming more widely accepted. There are even studies to support that workers are more productive when working remotely. Some companies have even gone 100% remote, with no physical location at all. 3. 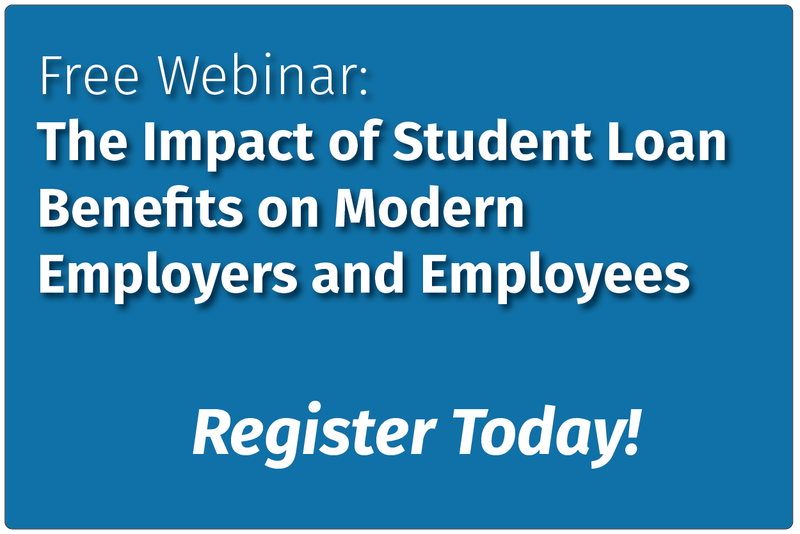 Student Loan Benefits – Several large employers have begun making payments towards their employees’ student loans. However, companies don’t need to offer contributions to have a successful student loan benefit. IonTuition offers a student loan benefit with concierge counseling and repayment plan calculators that can organize and save employees money without the need for employer-provided contributions. All of this is offered at a fixed rate that small businesses can afford. 4. Pet Days – One of the advantages of working for a small business is fewer corporate policies. If your office space can accommodate pets, consider allowing dogs or cats in the office on special days. Research suggests that animals in the office may lower stress and increase productivity. 5. Health & Wellness Programs – Employers have an incentive to keep their employees healthy. Employees in optimal health have been proven to be more productive. Many companies have begun subsidizing the cost for fitness wearables to employees who regularly meet goals such as the 10,000 step challenge. These benefits promote a healthy lifestyle which has the potential to help employees avoid incurring large healthcare bills. Some companies have even introduced team-building aspects to their health & wellness programs by setting goals such as million steps among the company. Which Perk Should You Offer? Companies tend to hire people that share similar values as the organization. Finding an employee perk that connects to your staff can have a tremendous impact in building employee loyalty. Reebok, for example, allows employees paid time for fitness activities; Airbnb gives its employees stipends to travel; REI employees receive one paid day off every six months for outdoor activities. Finding small business perks your employees appreciate can make all the difference in improving recruitment, engagement, and retention.